For the happiness of their guests, the hotel managers have been developing tailor-made adventures offers. Heliski, Mountain bike, Yoga & Trekking: indulge in magical experiences accompanied by highly qualified guides who know the area. The adventure starts right in front of the hotel! You have our word that we take care of everything! 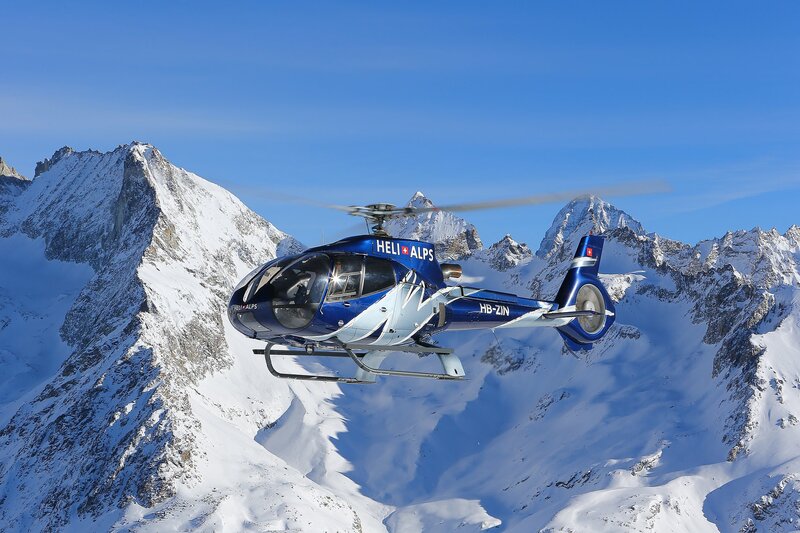 The Hotel & Spa La Vallée has its own helipad which enables the guests to discover and practice heliski. From December to May, if you are in good shape and able to ski in all snow conditions, just treat yourself with this unique experience. Heliskiing means a complete day out in the mountains, where you will be skiing uphill and downhill on fantastic runs. Share and enjoy those emotions with your friends or family. N.B. The flying schedule and the days for helicopter skiing will be decided by the mountain guide. If the weather conditions don’t allow helicopter flights, you will only pay for the dinner, the accommodation and the breakfast in the hotel, the ski pass for the lifts, the mountain guide and the renting of the equipment (avalanche beacon and harness). A second helicopter flight per day is charged with CHF 300 per person. Carbon offset for heliski The managers of the Hôtel & Spa La Vallée, being environmentally responsible and driven by their passion to sports, have always paid particular attention to nature conservation and mountains protection and are well aware of the global warming problem. In order to make tourism and heliski rhyme with respect for nature, the hotel decided to be part of a carbon offsetting formula for every Heliski Adventures. This is made possible by Good Planet, the Yann Arthus Bertrand Foundation, and its “Carbone Action” programme. A single helicopter transportation uses around 50 litres of kerosene; the financial offset to that CO2 release is equivalent to CHF 5.-, a sum that the hotel decided to donate to the Foundation for every helicopter transportation. That money is used to fund projects focusing on 4 thematics: reforestation and forests preservation, sustainable agriculture, universal access to clean energy and sustainable waste management. Take advantage of Valais’s diversity and discover a new ski area every day! 5 nights in a hotel with breakfast, parking and ski room. ski pass « Snowpass Flexdays 4/6 » : 4 days of skiing spread over 6 consecutive days, including access to all ski areas in Valais (1 day per ski area). Available on request: Child’s rate: please contact the hotel for any further information. 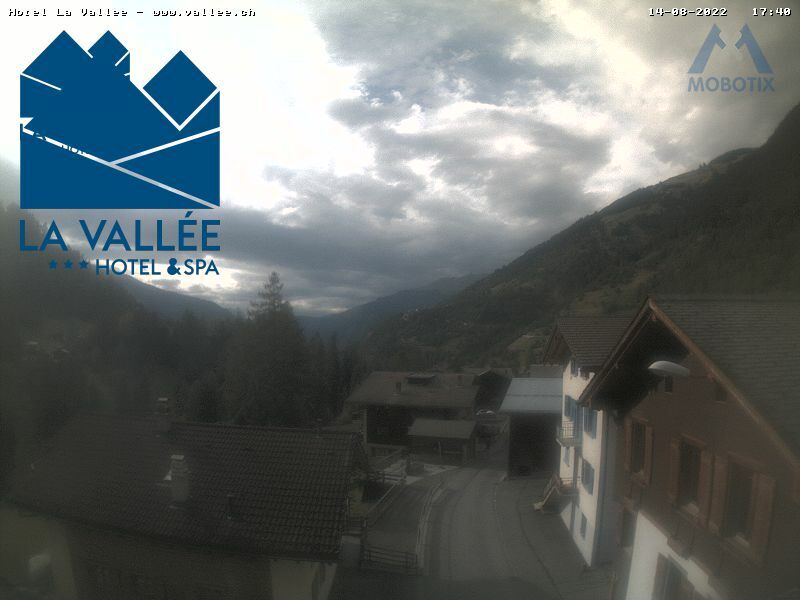 Useful information: You can find the piste maps, weather forecasts, webcams and any other useful information on: visitvalais.ch/skisafari. The Verbier and Val de Bagnes area represents a unique playground when it comes to mountain biking. Start from the Hotel, go and explore with your guide the many enduro trails of the valley or head towards the lifts in Le Châble as they provide access to Verbier bikepark and the many single trails. The Hotel minibus with its bike trailer is available to explore single trails inaccessible with lifts. Besides, a free and secured garage is available for the bikers as well as a repair and a cleaning-up place. Our longtime partner Big Mountain Bike Adventures is offering a 8 day All Mountain biking trip with 5 nights in Lourtier and 2 nights Zermatt for a max of fun. Our Yoga & Trekking stays offer you pure fresh air and moments to think and meditate in a preserved environment. Your days start with a morning yoga class, followed by a generous breakfast before you head out for a hike on the beautiful paths of the Bagnes Valley. Lunch break here means you eat your picnic in nature or you stop in a mountain hut. When coming back to the Hotel, you can enjoy the spa and a repairing massage. With canyoning adventures and vertical adventures, discover the turquoise waters and playful canyons of the Marécottes, fill up with thrills hanging on the wall of a dam or even take a swing from a pendulum bridge. After a day of adventure, enjoy the charm of a 3 * hotel and relax at the spa. Set off a journey of discovery of a region field with character by hiking some more than 500km of signposted paths. From themed paths for all to hikes taking place over several days, everyone will enjoy the natural and cultural wealth of these places. Seek advice to the owers, they will be happy to assist you. The Via Ferrata leads beneath the Mauvoisin dam, through the depths hollowed out by the waters of the rocky Dranse Gorge. The first part "Saxifrage" starts at the picnic area and leads into the Dranse Gorge. From there, via a first small suspension bridge you make your way to the other side. This part has been classified with level of difficulty K3 (quite difficult) and is designed for children of minimum eight years of age. The second part, "Tichodrome" requires a good physical condition and certainly a good head for heights. Here much more concentration and effort is required. Via Ferrate des Gorges de Mauvoisin. The hotel's facade features a climbing wall with a height of 12m offering 3 different routes. Equipment available for guests. Ideal for children. With 560 routes and 30 climbing sites, some breathtaking climbs await you in the region. Treat yourself with pure fresh air and moments to think and meditate in a preserved environment. We offer Yoga & Spa Mornings as well as Yoga & Trekking to recharge your batteries. On request, we organize private sessions with qualified yoga teachers. Infos & offers.